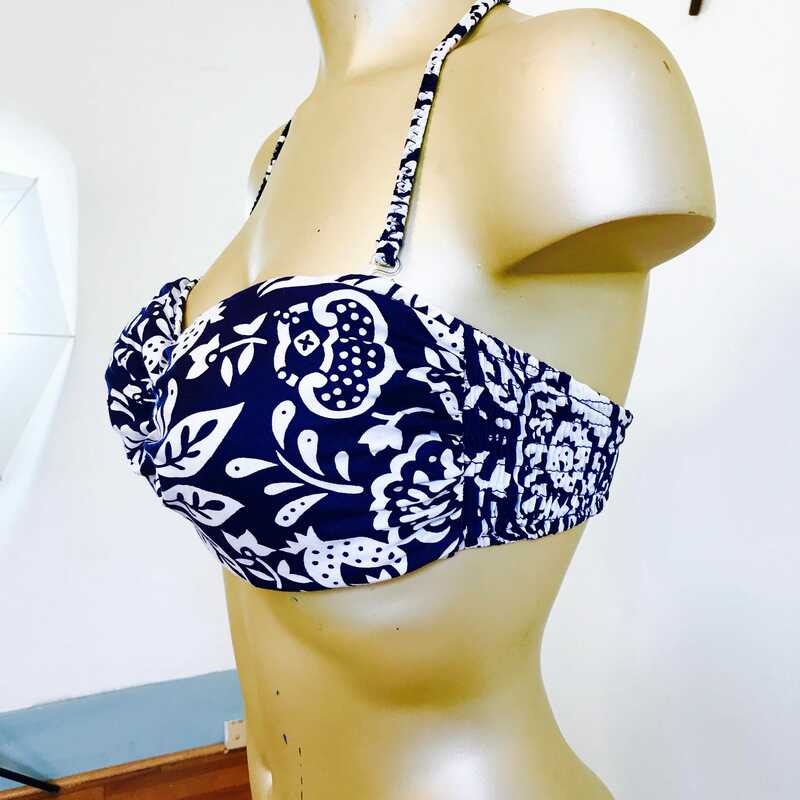 This is a retro, vintage CATALINA bikini top! 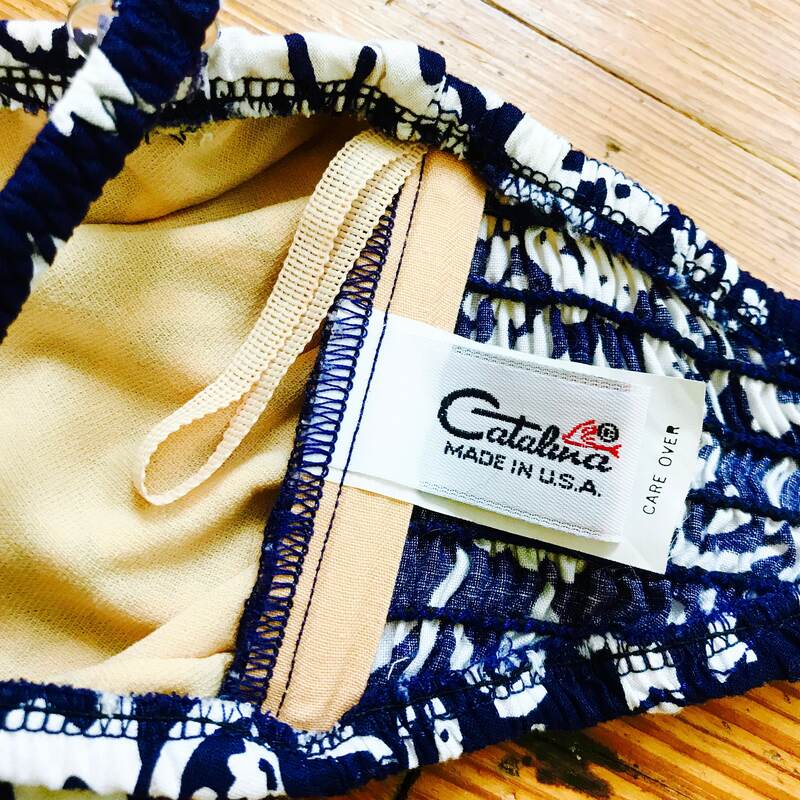 This USA made Catalina bikini top was made in 80s to 90s, from the tag, but has a retro 1960s look! 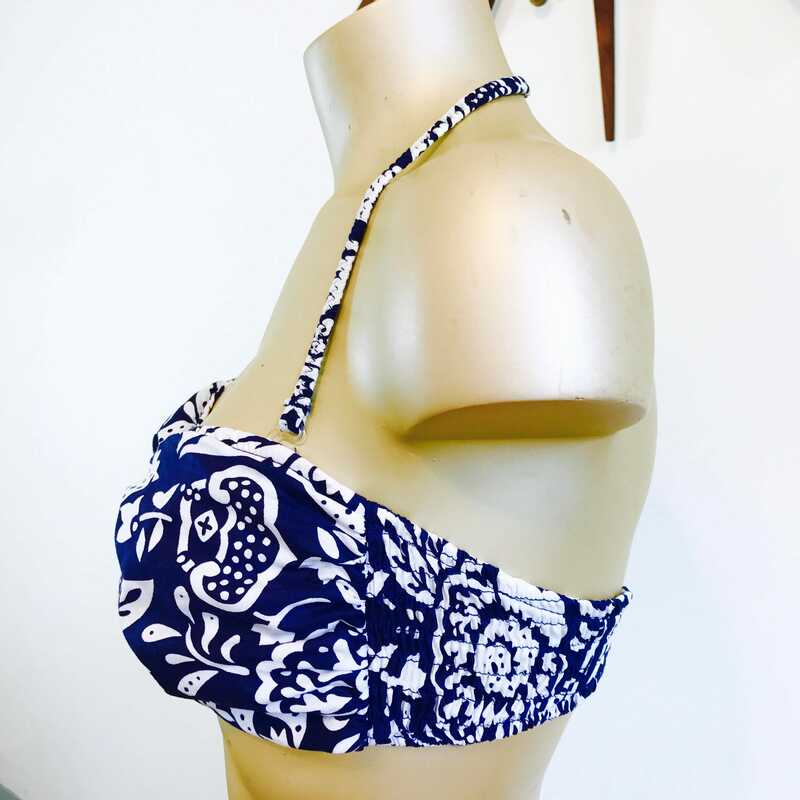 This swimsuit top has a navy blue and white tropical print. 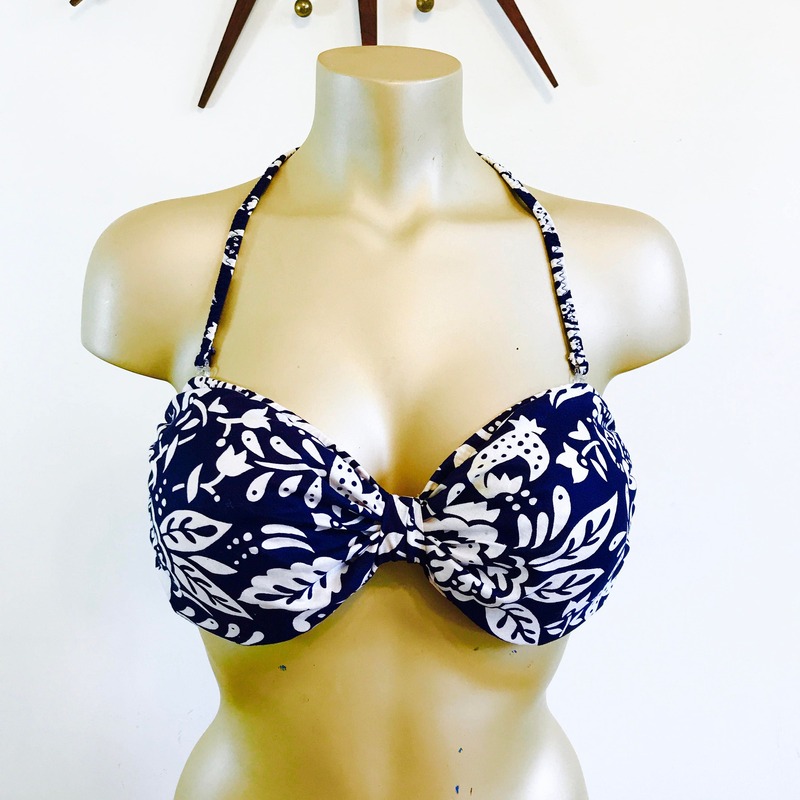 This vintage bathing suit top is a bandeau cut with removable halter straps! 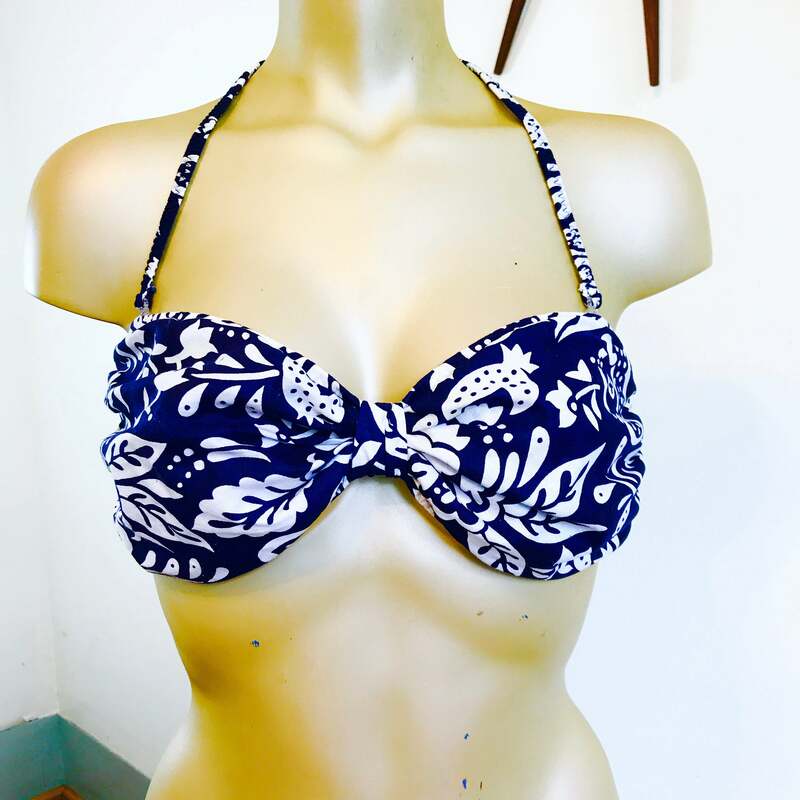 This retro Catalina bikini top would look good miss-matched with some red, white or navy blue bottoms! CONDITION: Perfect! 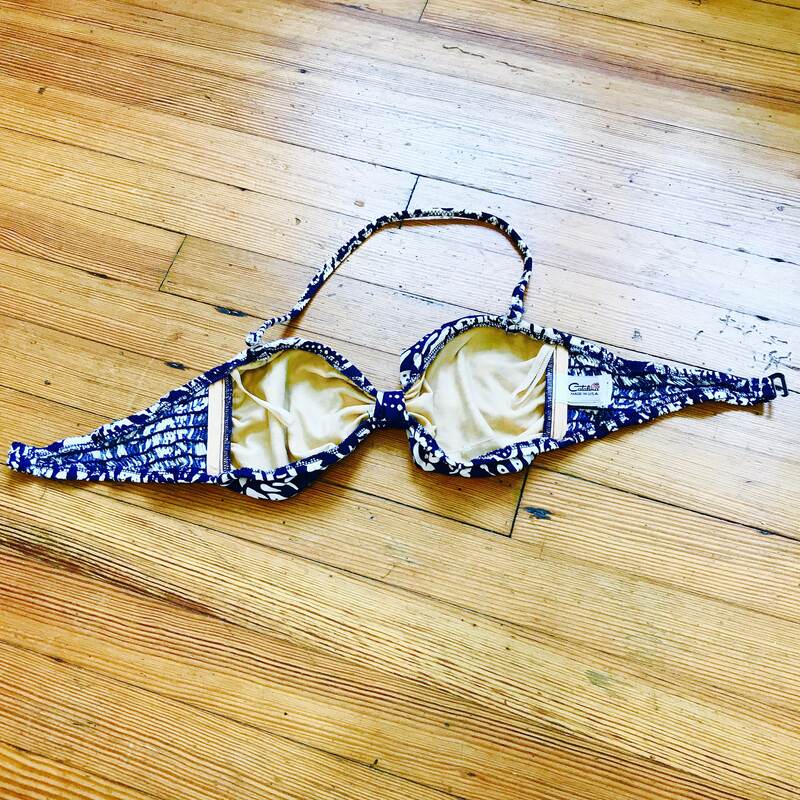 Looks to have never been worn!